Listen to certain sections of the media and you would be led to believe that Windows 8 has been a massive failure for Microsoft, on the levels of Vista. However, the figures Microsoft have just released tell quite a different story. It took 183 days for Windows 7 to reach the 100 million licenses mark. Windows 8 has just hit the same milestone. How long did it take? 192 days. That’s just 9 days long than its predecessor, so it is selling at a very similar rate. This shows that consumers are willing to take plunge with Microsoft’s latest operating system, despite there being bigger changes to it than there have been since the last century, and despite certain outlets around the web suggesting that there are many issues still with it and that consumers are responding badly to new style. Yes, Windows 8 needs some work to bring it up to the standards we expect from Microsoft, but it is a step in the right direction, and hopefully with the now confirmed Blue update we will see a much smoother and more coherent feel to the OS with both the familiar desktop and the brand new start screen. When Windows Phone 8 was released way back in October last year, much was made of the relationship prospective Windows Phone 8 purchasers would have between their mobile and their PCs. Since then, nothing much to that side of things has materialised, but yesterday that all changed. Galactic Reign was teased by Microsoft last October, but there was no mention of platforms, nor was there a release date, but yesterday the game quietly slipped into both the Windows 8 Store and the Windows Phone Store as an Xbox Live title. Microsoft used to always announce upcoming Windows Phone games well in advance, but they haven’t done so much of that recently, and it seems crazy that such a huge milestone for the OS was released with so little fanfare, but hey, at least it’s here now. As you might have guessed from its name, the game is a sci-fi strategy number. 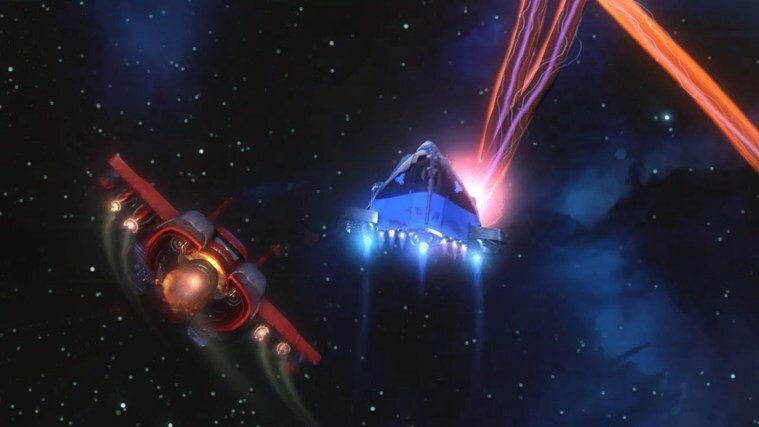 You have to find the right balance between spaceships and weapons and hope your fleet is good enough to beat your opponents, and we won’t go into too much detail here, but there’s a single player mode with 60 challenges and a multiplayer side of things where you battle people online. There a bunch of Xbox achievements to aim for as well. It’s great to finally see a game which bridges the Windows Phone 8/ Windows 8 divide. With the multiplayer game, you can play with different hardware to your opponent, i.e. it doesn’t matter whether you use a PC, Windows Phone or Surface. 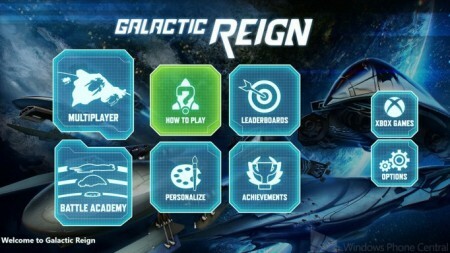 Galactic reign will cost $4.99 for Windows 8 or for Windows Phone 7 and 8. The best bit of all? You only need to purchase one version to have access to it on both platforms.